I love when technology merges with an unlikely partner. Sleep Number has done just that by combining technology with some of the best mattresses out there. 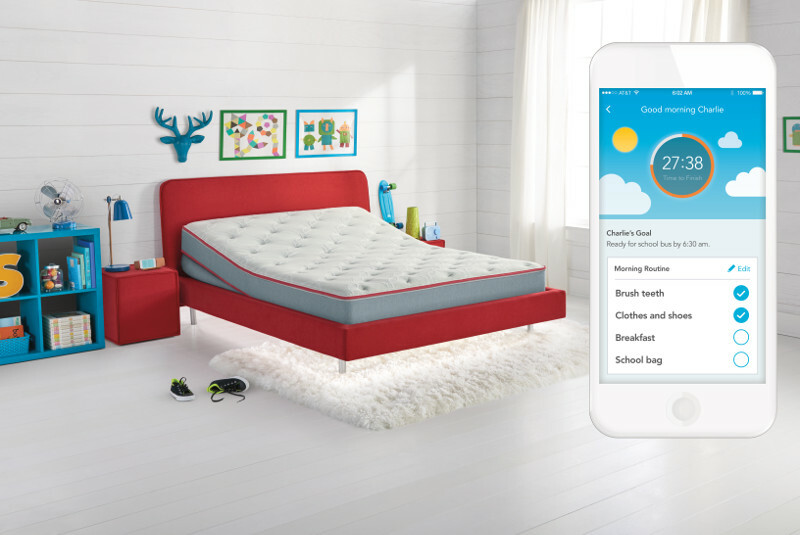 This is one of those products that I sit there thinking “why didn’t I think of that!” The Sleep Number IQ Kids Bed Alerts you when your child is out of bed or restless. I can’t count how many times I wished I knew how well my kiddos were sleeping or I could know if they were even in their beds without busting into their room. The last thing you want to do is burst into their room and it turns out they are being good, but now you’ve disturbed them and they just want to ask you a million questions now that you’re there! The technology put into this bed is just fantastic and something every parent needs. The bed adjusts and grows with them; the firmness and support can be changed as they grow. You also can reward little sleepers with stars for good sleep habits. How awesome is that? I know as a kid if I got cool stars for staying in bed I would make sure I stayed there! The Sleep Number IQ Kids Bed also comes with soft lights under the bed to help guide them if they get up in the middle of the night, and also you can turn off lights remotely when you know they are sleeping tight. For smaller kids you can get rid of the “monsters” under the bed with your phone. 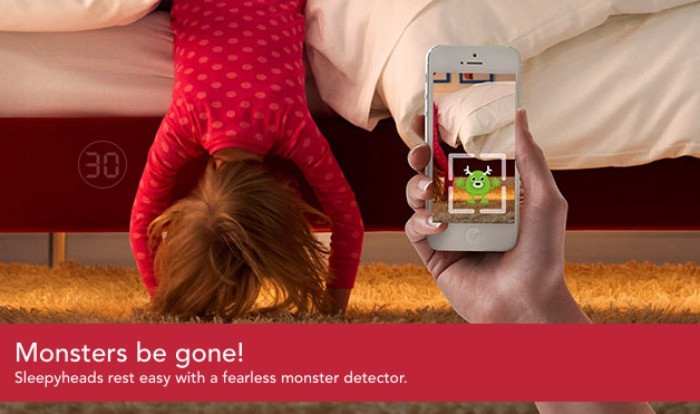 It will detect the monsters and then your kids can use the phone to get rid of them. Sleep Number had thought of everything! They have also put a lot of time and energy into figuring out what helps kids fall asleep at night (besides a great mattress ) They know that routines are key and essential for kids. If you want to “stop the stall” and we all know we do! I haven’t met a single kid that doesn’t have a bedtime stall tactic! :: Create a bedtime routine that suits your child. Pick activities that will get them in the frame of mind for sleep. :: Kids love using the last minute of the day to talk to you about the whole day. Use this to your advantage by making this part of your child’s bedtime routine. 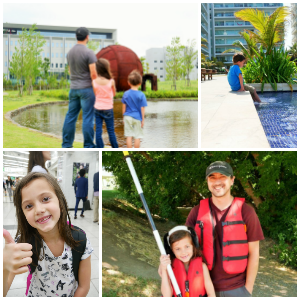 Have your child tell you three things they loved about their day. They will feel heard and it will be a conversation that is controlled and won’t last the whole evening. Nighttime conversations will be focused and will turn into a special time instead of a stall tactic. 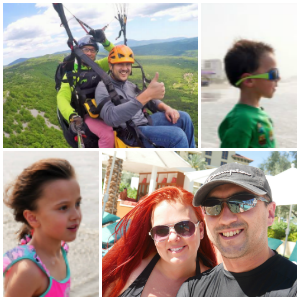 :: As part of my kiddos bedtime routine I have them get ready for the next day. By having them set out their clothes and make goals for the next day it automatically gets them in the frame to go to bed and be excited for the next day. A good night’s sleep is vitally important for all of us, but kids don’t always understand that and can get shortchanged on something that is essential for their growth and helps them in their everyday activities. If you want to be able to make sure your child is getting the best sleep possible be sure to check out the Sleep Number IQ Kids Bed online here or at your nearest sleep number store. The Sleep Number IQ Kids Bed is quite possibly the coolest bed and definitely worth taking a look at! • The SleepIQ Kids bed is available in Twin, Full or Queen sizes, and starts at $799.99 for a k1 Twin mattress. • The SleepIQ Kids bed is available exclusively at more than 460 company-owned Sleep Number stores across the United States and at www.sleepnumber.com.